Exhorted by our celestial and astronomically aware correspondent, Lamb0, a number of Back of the Ferry Regulars assembled on a relatively early ferry to observe the setting of the sun on the Hibernal Solstice. There was a good number of punters out the back and it wasn’t too cold. Still, it wasn’t warm enough to dance naked like our Northern colleagues – so we simply adopted a more traditional celebration and drank beer. Just when I thought I’d scraped the bottom of Mr Liquor’s barrel, he turns up another beer that we haven’t yet had. 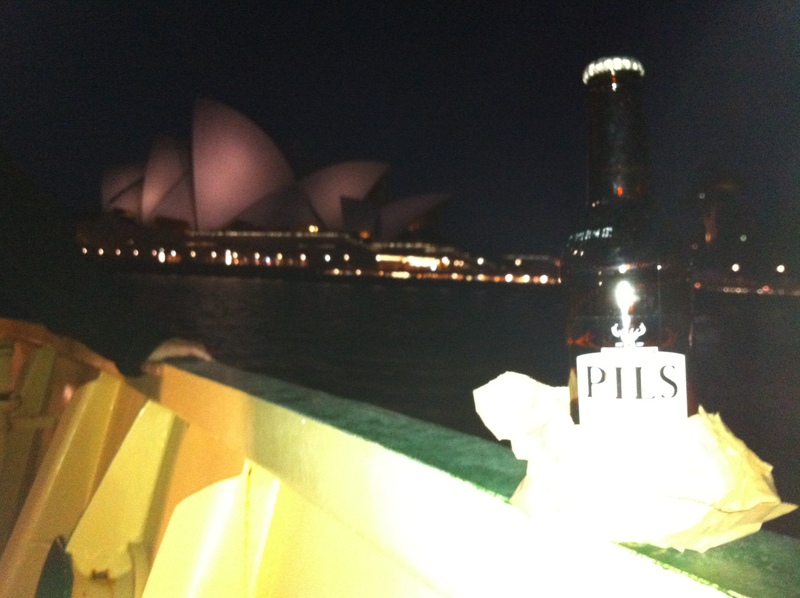 Tooheys Pils is a relatively new member of the Lion Nathan stable. I remember it being better than what I consumed last night and a little investigation reveals that there are reasons: 1) Alcohol content lowered; and 2) different hops being used (used to be Saaz and replaced by Hallertau). A pilsner should be sharper than a regular lager, but this is a sharp as a bowling ball. Very disappointing and another one taken on the chin by BotF so you don’t have to. A much better beer awaited me at the Bavarian Bier Cafe at Manly. 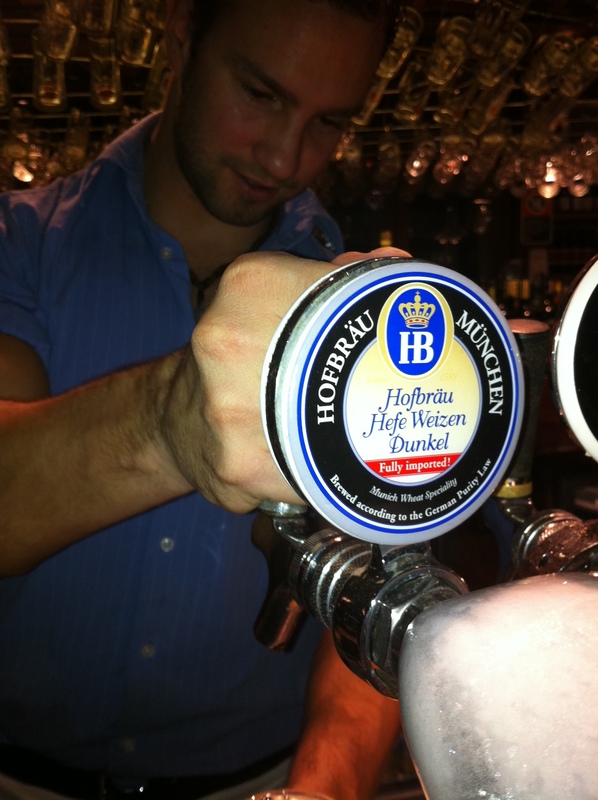 A blackboard announced a new tap beer – Hofbrau Hefe Weizen Dunkel. As not the greatest fan of the Hefeweizen style – I ordered a 300ml glass, as opposed to a 500ml or 1 litre option. 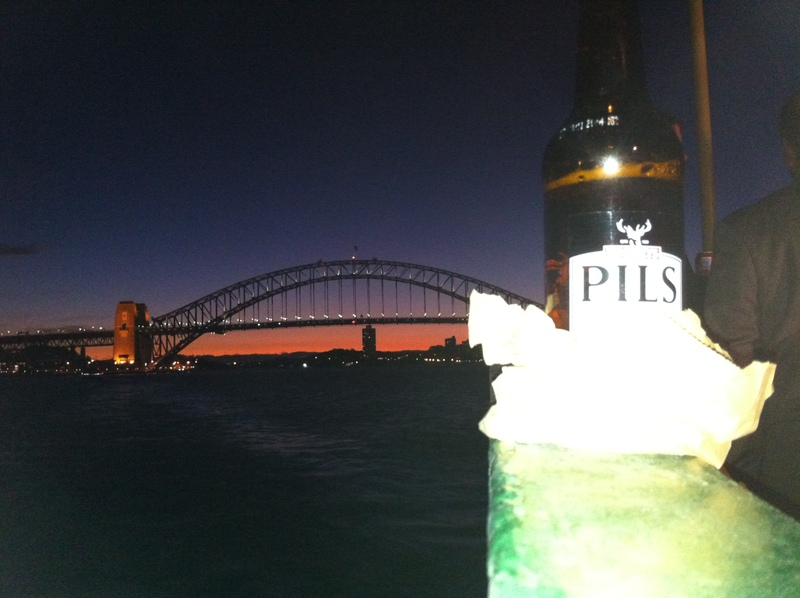 Big mistake – this was a ripper beer. The beer is a cloudy darkish brown colour, which is not that appealing. It offers plenty of malty flavour and isn’t chewy like I’ve found other hefeweizens. It would appear to be a one-off, as there is no reference to it on the Hofbrau website. It’s not the only Hefe Weizen Dunkel at the Bavarian Bier Cafe – and I’ll have to stack it up against the Franziskaner version next time. 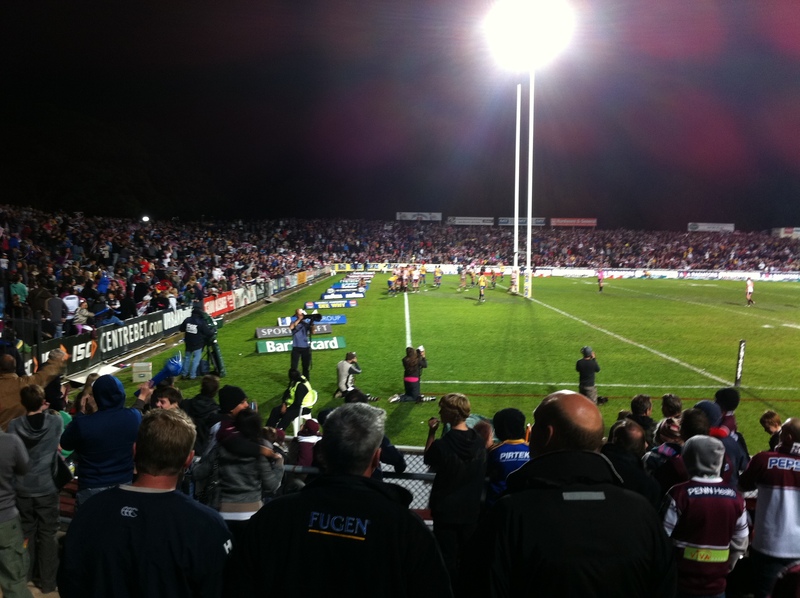 As a postscript to the recent post about the Moose, I attended the Manly v Parramatta game on Monday night. It is pleasing to report that the crowd reverentially observed a minute’s silence for Rex and then the Manly team backed it up with a victory in the last 5 minutes. An enjoyable aspect of watching a game at Brookie is being able to drink full strength beers. pommy_ch is a regular and was alert to the decision to stop selling full strength after half-time, so we loaded up to last the distance. Good tip.